Berserk The Cataclysm is a free MMO collectible card game, set in Laarâ€™s world, in which you can show your strategic skills by building your own card squads. Join this great online card game and conquer the Ungar throne! 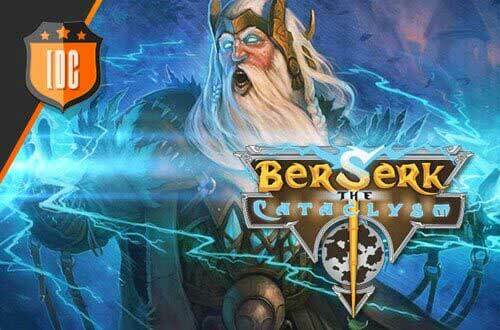 Berserk The Cataclysm is a free MMO collectible card game, in which you can show your strategic skills by building your own card squads. Guide your squads through this card game and protect your territories. Lead your cards across incredible online battles against other players in Berserk, the awesome multiplayer strategy action game. Take part in the Clans War, explore the Adventure Map and test your skills in the tournaments. Join this great online card game and conquer the Ungar throne! With Berserk The Cataclysm you will break into Laar’s world, a world that once was prosperous and now is controlled by dark forces. In this awesome free MMO collectible card game you must beat your enemies by using your own card squads of different elements. In this PvP mode, you can fight against many clans to be the most powerful of Laar and get incredible rewards such as Ounces, Imperials or collectible cards. Conquer Laar with this awesome CCG! This is a free MMO collectible card game, which means that you can enjoy thousands of cards of 6 different elements to increase your collection and empower your squads the highest level. Win the Clans War, become the King of the Hill and get the Drake Treasure. In this awesome free MMO collectible card game, you’ll enjoy several game modes, both PvP and PvE. You can fight against real players and bots on the Adventure Map, on the Arena or in the Clans War, for example.